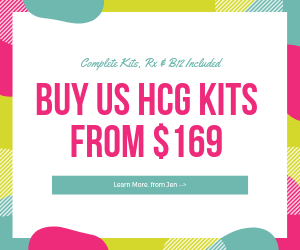 I was on the HCG diet a few years ago and lost a significant amount of weight (nearly 40 lbs successfully.) I have not gained anything back but I have lost more weight and become extremely fit since using HCG. 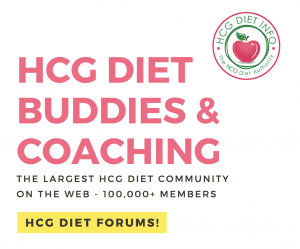 I am also a member of hdi’s hCG Diet Forums and am happy to share my my hCG diet success story on the HCG Diet Info website. I can’t tell you how many success stories I know of from these groups and in person. In fact the editor of HCG Diet Info lost 80 lbs on the HCG diet over 5 years ago and I’ve seen her recent bikini pictures- yes, bikini. Fortunately, she agrees that HCG dieting is not the holy grail of weight loss- but she does say it’s a magnificent tool in retraining eating behaviors, and I agree. 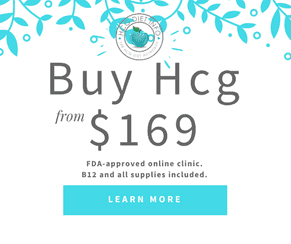 HCG worked when all else fails! 32 lbs loss successfully with the hCG diet! I’m 23, an artist, diagnosed with PCOS and insulin-resistance, and have had a lot of difficulty losing weight in the past. In the last two months though, I’ve been able to lose 32 lbs, 25 of those lbs using the HCG shots) for 40 days. I had a really great experience with this plan… I went from 182 lbs to 157 lbs in 40 days, dropping 24 inches (maybe more, only measured some areas), and went from 33% body fat to 28.5%! My body reshaped like Dr. Simeon’s said it would; my favorite result being it took fat off my belly. This plan really worked for me, and I’m going to do another phase 2 in 6 weeks to lose the last 10 lbs. The results don’t lie! 26.2 lbs. hCG weight loss success story! I’m happy to say I’m an hCG diet success story. Today I lost another 1.5lbs. I weight 182.5. That is a total of 26.2 pounds lost. It is truly amazing how I can eat only 500 calories, work a 12 hr shift in a busy hospital and still feel great and not be hungry. I have lots of energy and I am going for an hour walk this afternoon. Whatever the mechanism is in HCG that causes people to lose weight at an amazing rate, eat only 500 calories and not be hungry, cannot be explained by our scientists. It certainly does exist for me and many other people. No other diet supplement, despite the claims, produced this result for me.